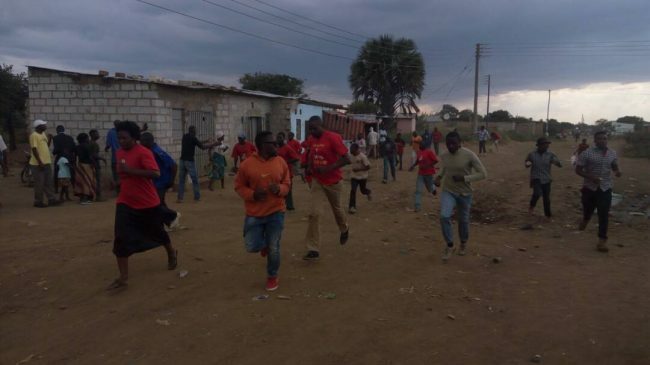 Violence flared up in Chilanga Sunday afternoon during ongoing campaigns in the parliamentary by-election. Police say will identify and arrest cadres involved in the violence. LUSAKA, 13TH MAY, 2018 – Inspector General of Police, Mr Kakoma Kanganja has called for the identification and arrest of all political cadres involved in the violence which happened in Chimanja ward of Kalundu area in Chilanga Constituency. 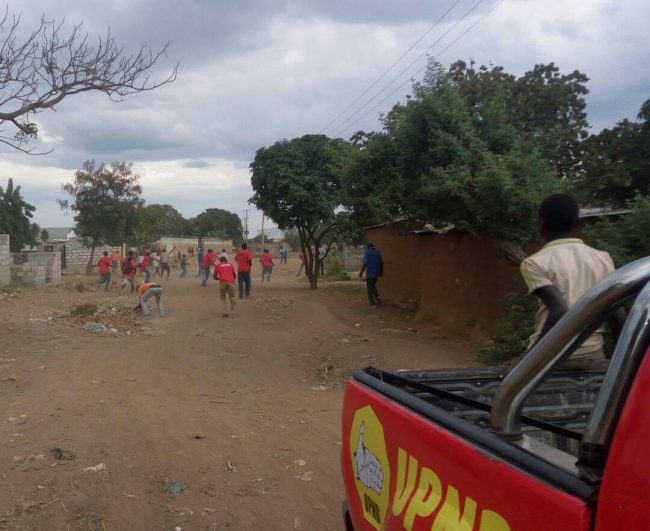 The violence which occurred today is reported to have happened when supporters of the UPND were passing near the Camp of the Patriotic Front which ultimately resulted into cadres from both Political Parties throwing stones at each other. Medical reports have been issued to the injured both from the Patriotic Front and the UPND. All those that will be found to be responsible of perpertrating violence will be dealt with accordingly regardless of their political affiliation. The Inspector General has directed officers in the campaign zones to intensify foot and motorised patrols during day and night and remain firm but fair as they deal with such situations. The Zambia Police has been calling on all Political Parties to submit Campaign Schedules for planning purposes so as to avoid clashes between cadres of opposing Political Parties. We therefore reiterate our earlier call for all Political parties taking part in the Chilanga by election to submit their campaign schedules to Police as soon as possible so as to avoid such occurrences.